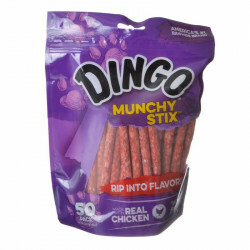 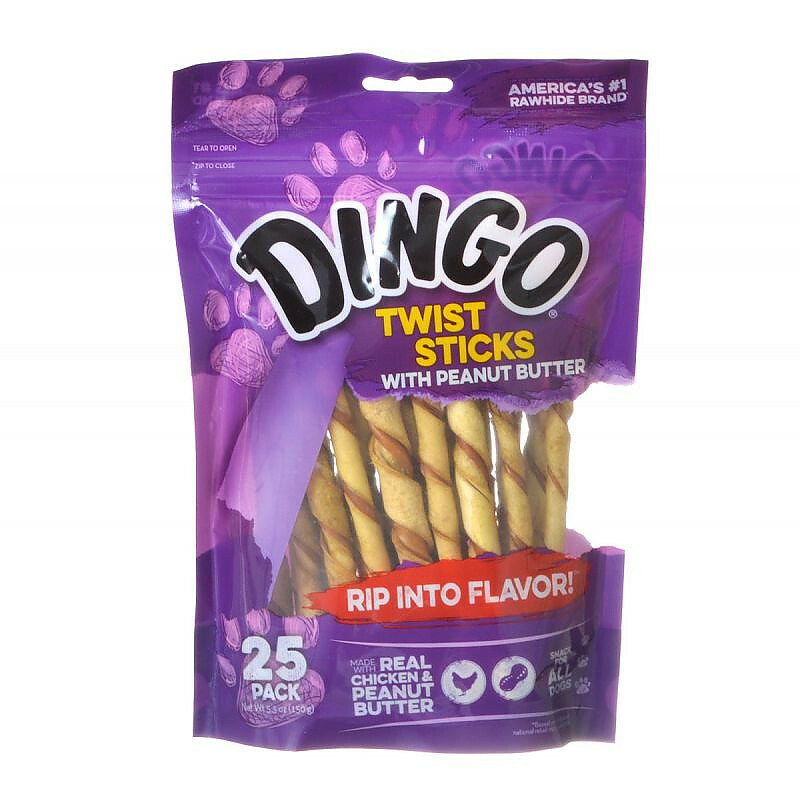 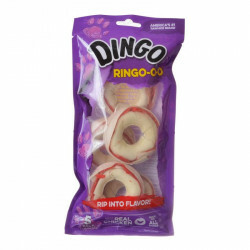 Dingo Twist Sticks are made with real peanut butter to delight your dog's taste buds, and with real chicken in the middle they're packed with the protein your pooch needs! 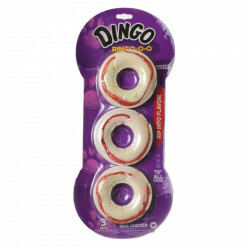 These unique chew twists are fun to chew and promote healthy teeth and gums. 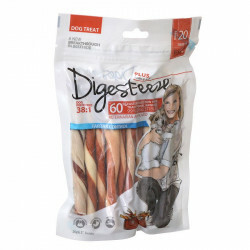 These tasty twists are high in protein and crazy low in fat for a perfect healthy chewing treat! Ingredients: Rawhide, Chicken, Peanut Butter, Sorbitol, Sugar, Salt, FD&C Yellow 5, Artificial Peanut Coloring, Caramel, Gelatin, Potassium Sorbate (preservative).